THE people of Azawad have today, Friday April 6 2012, formally declared their irrevocable independence. The statement from the National Movement for the Liberation of Azawad (Mouvement National De Liberation de l'Azawad - MNLA) refers to the "complete liberation of the territory of Azawad" achieved in the remarkable final uprising which began in January this year. 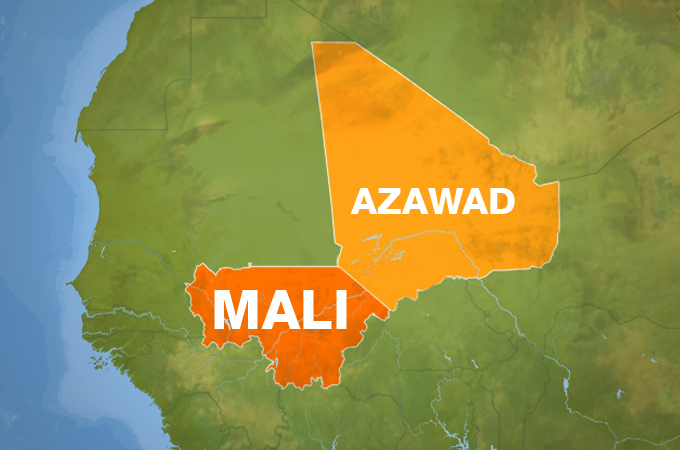 It recalls that in 1960 Azawad was attached to the state of Mali, created by France - the former colonial power - without the consent of its people. And it mentions the massacres, extortion, humiliation, despoilment and genocide carried out against Azawad in 1963, 1990, 2006, 2010 and 2012. It condemns the "inhuman behaviour" of Mali in using various droughts (1967, 1973, 1984, 2010….) to try and wipe out the people of Azaward at the same time as it had asked for and received generous humanitarian aid from overseas. The statement says that the accumulation of more than 50 years of bad governance, corruption and political-financial-military collusion had put the existnce of the Azawad people at risk and endangered the stability of the sub-region and international peace. Announcing the permanence of the borders of the liberated territory and Azawad's total commitment to the United Nations charter, the statement calls on the international community to recognise the new independent state of Azawad with minimum delay. 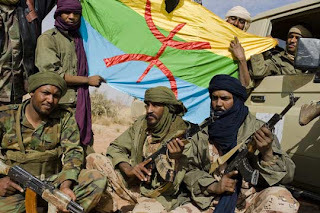 "Killing the 1% is the only way out"
Victory declared by Azawad rebels!